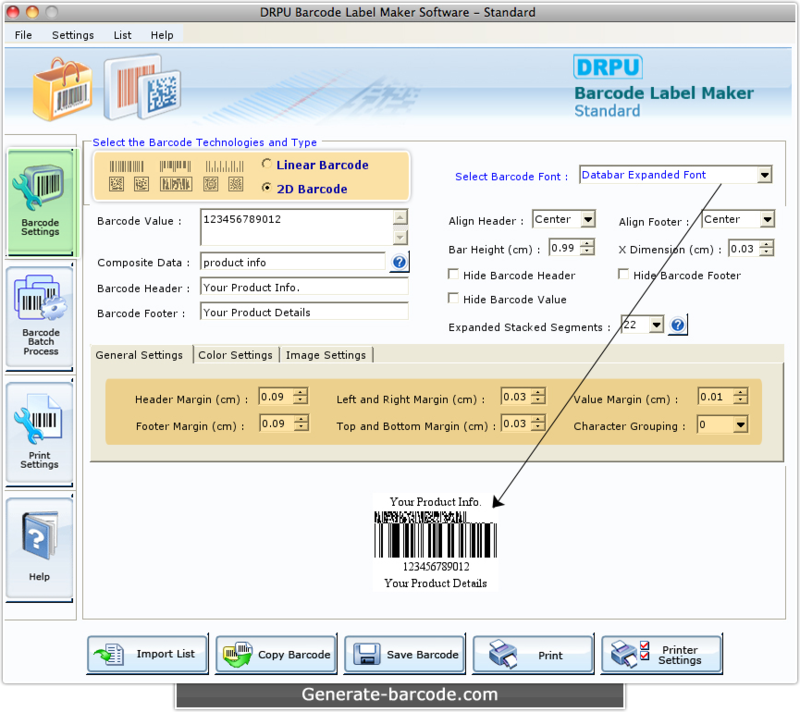 Barcode Label Designing Software for Mac provides facility for users to generate and print nice-looking labels on Mac OS installed computer. You can design barcode for inventory, retail, warehousing, packaging, banks and various other industries in simplified manner. There are Linear and 2D text font standards to generate stunning barcode label. You can choose your own design pattern and create labels as per present industrial needs.